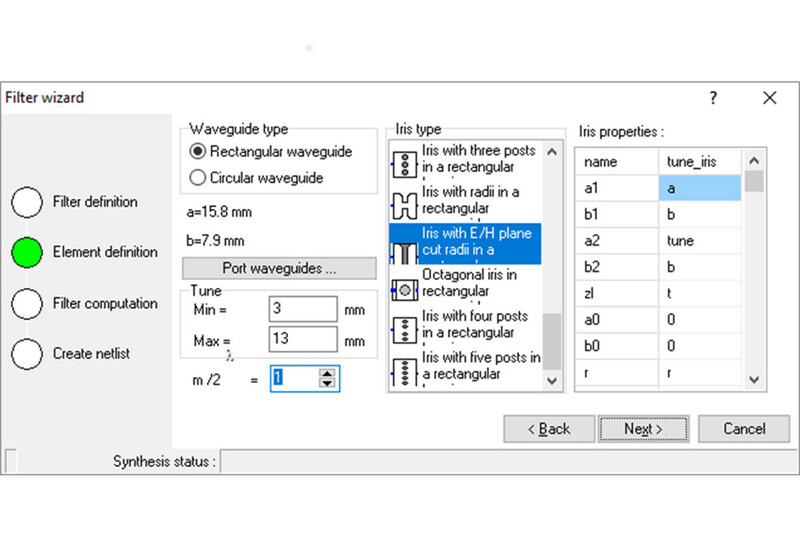 The µWave Wizard™ features a built-in user-friendly bandpass filter and taper synthesis tool. 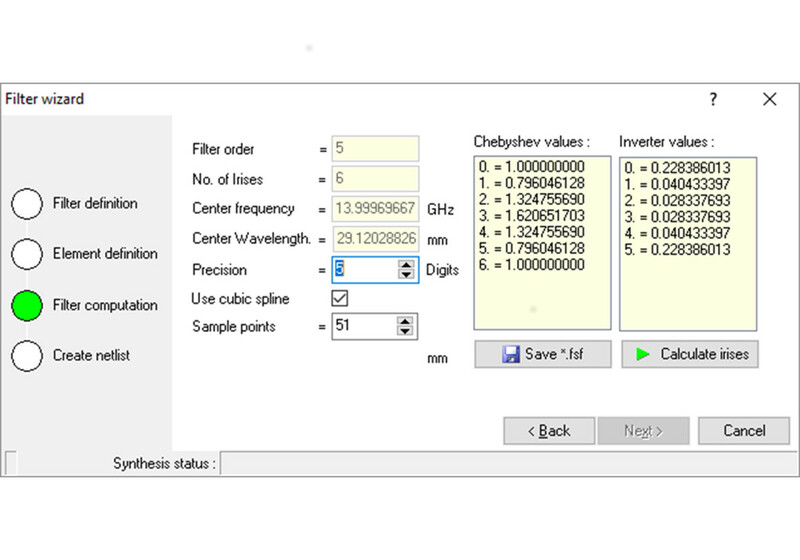 The Filter Assistant allows the design of either Chebyshev-filters or Butterworth bandpass filters. The output is a complete self-generated schematic providing all parameterized geometries required for an analysis and subsequent fine optimization. Additionally, a built-in spline interpolation algorithm supports a faster calculation of the inverter values. 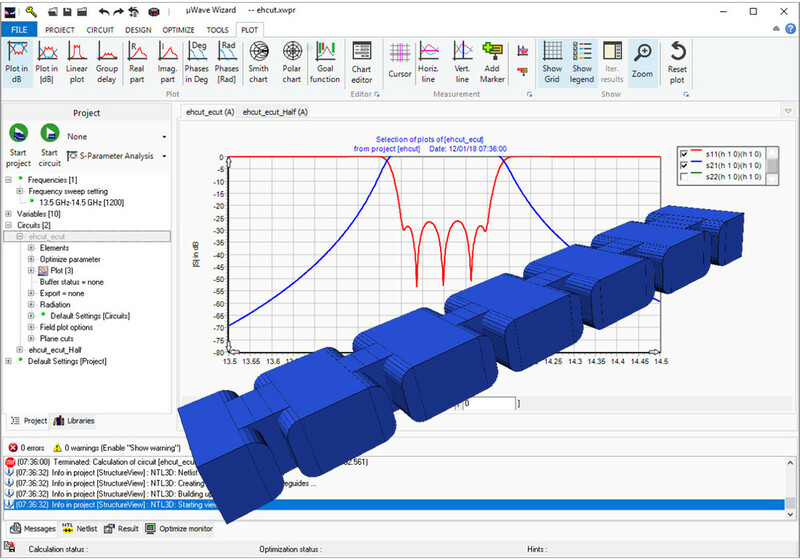 Please note: in µWave Wizard™ it is possible to manage different filters with individual specifications and variables in one project. Each circuit can have its own optimization parameters and can be optimized independent to the others. Furthermore all optimization specifications from different subcircuits can be selected and be used among each other. This allows to setup and to optimize multiplexer very easily or to have different case studies for the same specifications for different filter topologies in one project. 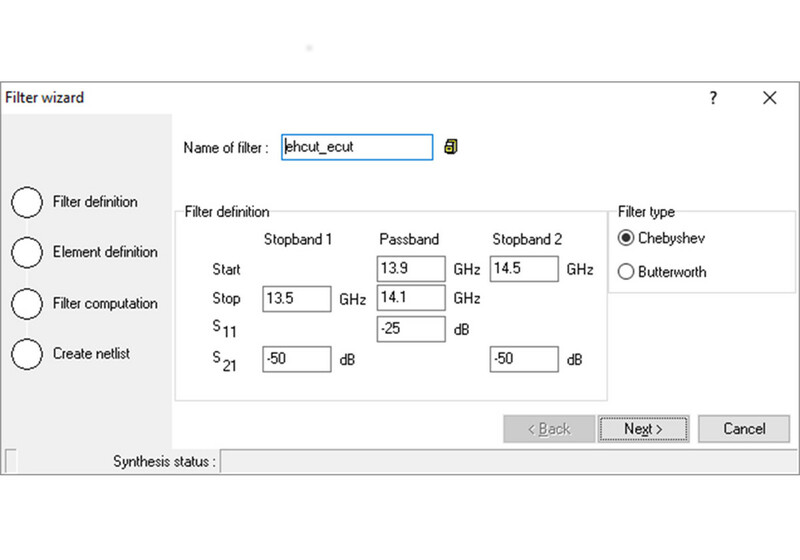 As the result of the Filter Assistant a complete schematic is generated automatically. This includes a subcircuit hierarchy, the setup of the variables including extensions and the setup of the goal function from the given specifications. In some cases a short post optimization is required because µWave Wizard™ takes higher order modes into account while the Cohn synthesis is based on a fundamental mode connection. All input values of the Filter Assistant are saved in a special file format which can be reloaded and modified to different specifications again. As a result a second taper can be generated based on a previous design. This can be helpful e.g. in the case of a multiplexer design.